Sorry, We have sold out of packages for the 2019 season. SORRY, WE DO NOT TAKE ORDERS FOR LIVE BEES ON OUR WEB SITE, YOU MUST CALL TO BOOK YOUR ORDER, 1-800-342-4811. STORE HOURS ARE 8AM - 4:30 PM MON - FRI, CENTRAL STANDARD. PACKAGES CAN BE SHIPPED TO ZONES 2,3,4 & 5 ONLY. BECAUSE OF TRANSIT TIME AND CHANGES IN THE POSTAL SYSTEM WE CAN NOT SHIP TO ZONE 6. SHIPPING, HANDLING, AND INSURANCE IS EXTRA ON PACKAGES. IF YOU ARE HAVING PACKAGES SHIPPED THIS IS ADDED ON YOUR ORDER ONCE YOUR ORDER IS PLACED. TOTAL SHIPPING COST ( INSURANCE INCLUDED ) FOR 2019 ARE AS LISTED BELOW, WE CAN SHIP IN GROUPS OF 1,2, OR 3. 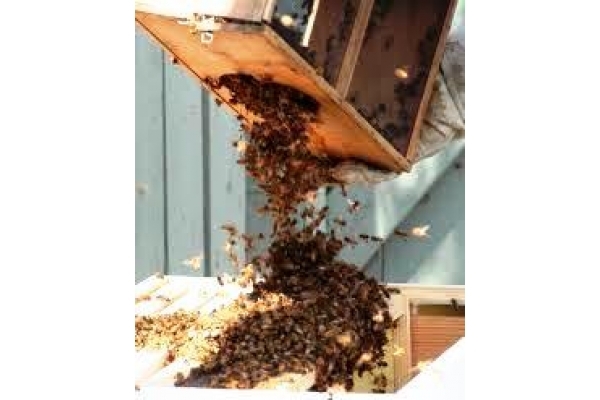 If you are placing an order for Live Honeybees and need equipment, please place your order for live bees separately from equipment orders, the site will not calculate the shipping correctly and your order will be held for payment in full. Any packages that are to be picked up here at the store or shipped into MN have to pay the Minnesota Sales Tax. The bees will be sent Pri-mail ONLY!, Special handing charges apply We, in some cases, may contact you for your credit card to run excess shipping charges on when calculated. All orders must be paid in full prior to being booked!! *Packages will be in mid to end of April, exact dates are not yet known. In some cases because of weather packages may be delayed, we have no controll if weather delays packages, in some cases the weather weeks before the pick up dates could delay them. **Postal insurance is purchased in your name. If problems arise, you the customer and your postmaster are responsible for filing Postal Form PS1000 to receive reimbursement for your loss. Make claims payable to you. ***Please specifiy if you'll be picking up here or having them shipped. ****Roughly ten days prior to shipment of the honeybee packages, we will mail out your invoice, receipt, confirmation letter, with week of delivery. *****All packages include Hygenic Italian Queens. Package Queens will not be marked. There is a $7.00 cagee deposit on all packages. Deposit is refundable upon return of the original package cage in the same condition to Houston, MN by the end of August of the same year. A cage deposit will be entered for each package ordered. WE DO NOT SHIP LIVE HONEYBEES WITH ORDERS FOR EQUIPMENT. 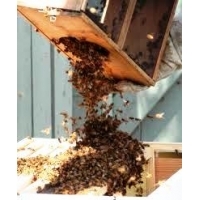 *No Shipments can be accepted for packaged bees zone 6 and up, going through U.S.P.S. We cannot ship to those zones without shipping them UPS Next Day Air. All shipping fees are the customers' responsibility. Please double check our zone chart (below) for your zip code before placing your order for shipped Packages. **No Shipments will be made, until all fees are paid in full. ***There is a cancelation fee on all processed orders of 10%. This applies to ALL orders. We will send you a refund, CHECK ONLY, made out in your name. The 10% cancelation applies to all processed orders, whatever the reason may be. **** The orders are shipped in sequence of booking. Shipping dates are not guaranteed, but shipped according to seasonal weather variations. Due to postal service policy, Bees will not be insured if the temperature at point of shipping exceeds 90 degrees farenheit. We will have no re-ships on packages as they book full. The packages are shipped out to you the same day they come in. You may have rain or you may have snow. BEE READY!!! All packages must be picked up at your post office!!! You may want to call them ahead of time and make them aware of your shipment.